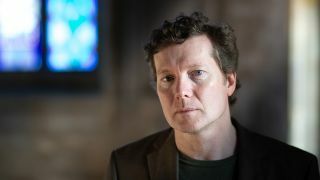 Tim Bowness has released a lyric video for his new single Borderline. It’s the second song taken from his upcoming album Flowers At The Scene, which will arrive on March 1 via InsideOut Music/Sony. Bowness previously released the track I Go Deeper. Borderline features a guest appearance from Big Big Train vocalist David Longdon, who also plays flute on the song. Bowness and Longdon are also joined on the track by Dylan Howe, Colin Edwin and Ian Dixon. Bowness says: “Borderline started life in 2004. Roger Eno had given me some of his music and while listening to a lovely piece called Crossing The Border, I heard a vocal melody and developed a song out of his instrumental. “Many years, many re-writes and many re-recordings later, the song had failed to break free from my hard drive of doom. Bowness adds: “I’d loved Dylan Howe’s Subterraneans album, so knew he’d be an ideal choice for the drums. Ian and David’s trumpet and flute contributions further enhanced the song, and the final additions were David’s rich backing vocal parts – a return favour for me having sung on a Big Big Train b-side in 2018. Last month, Bowness released a podcast series on Spotify and Apple Music which examines the inspirations behind the new music.